It’s fall in San Francisco which means its still summer weather (80 degrees!). 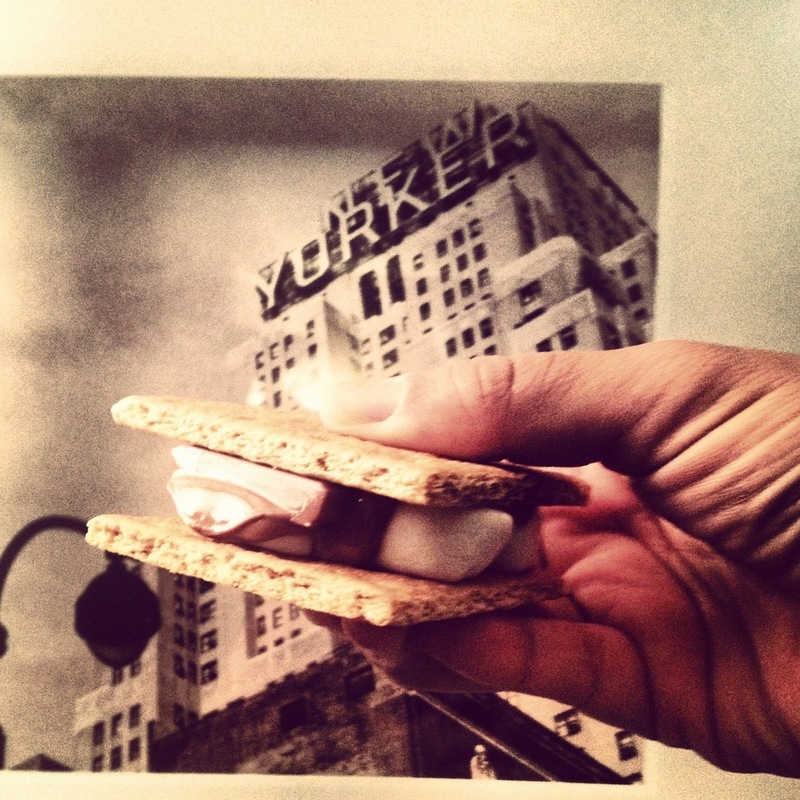 We all remember summer time is when other kids would get to go to camp and make s’mores. But Muslim kids had a tough time because marshmallows have gelatin (which is a pork product). So we would never get to sit at a campfire and toast s’mores! Well there are better marshmallow options now! 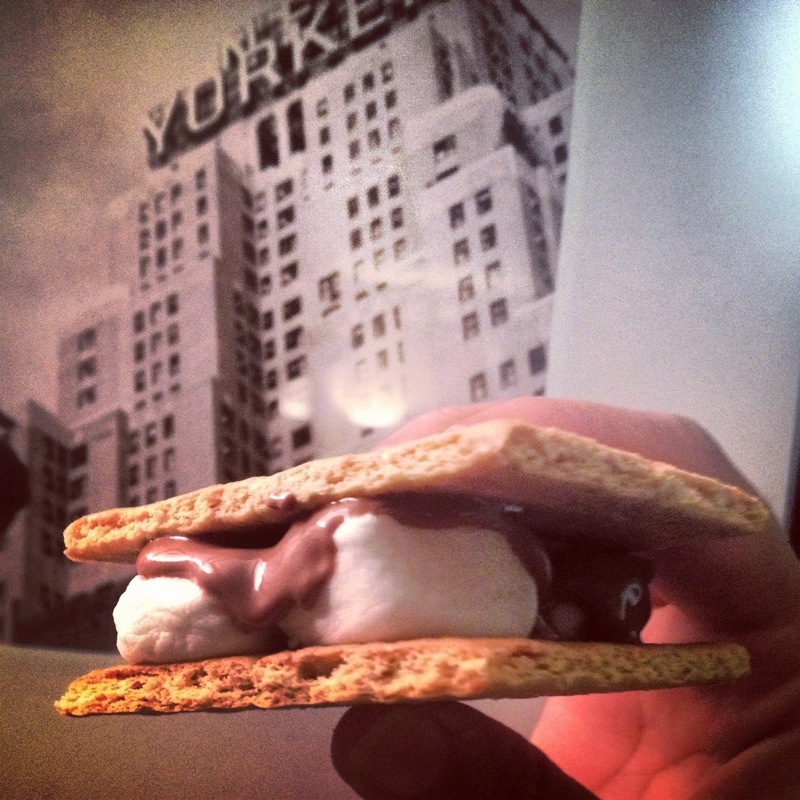 So I indulged my inner wannabe camp kid with this halal s’mores recipe. 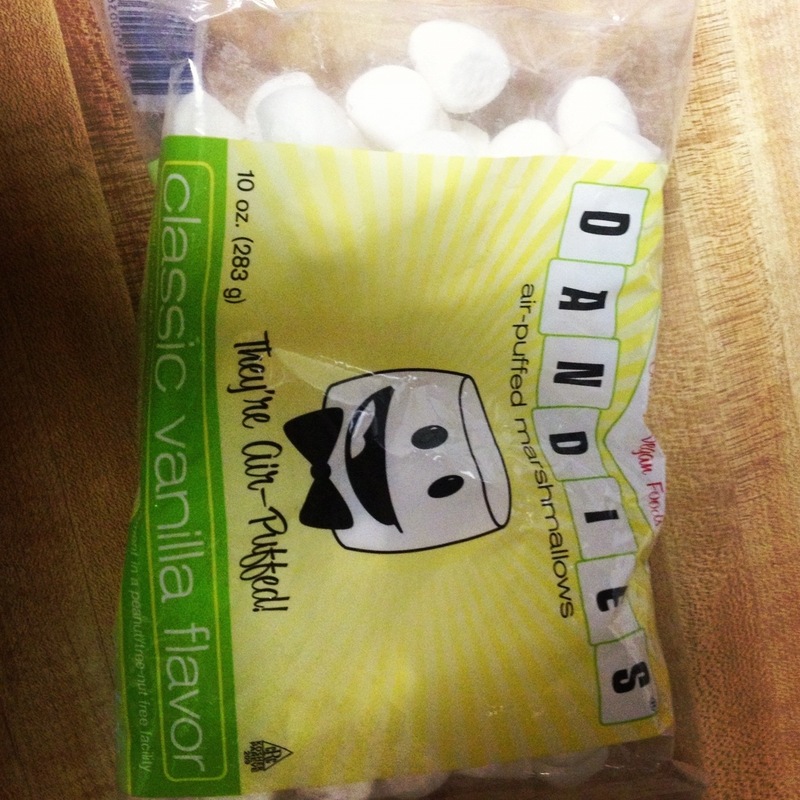 I found a vegan marshmallow option at Whole Foods called Dandies. 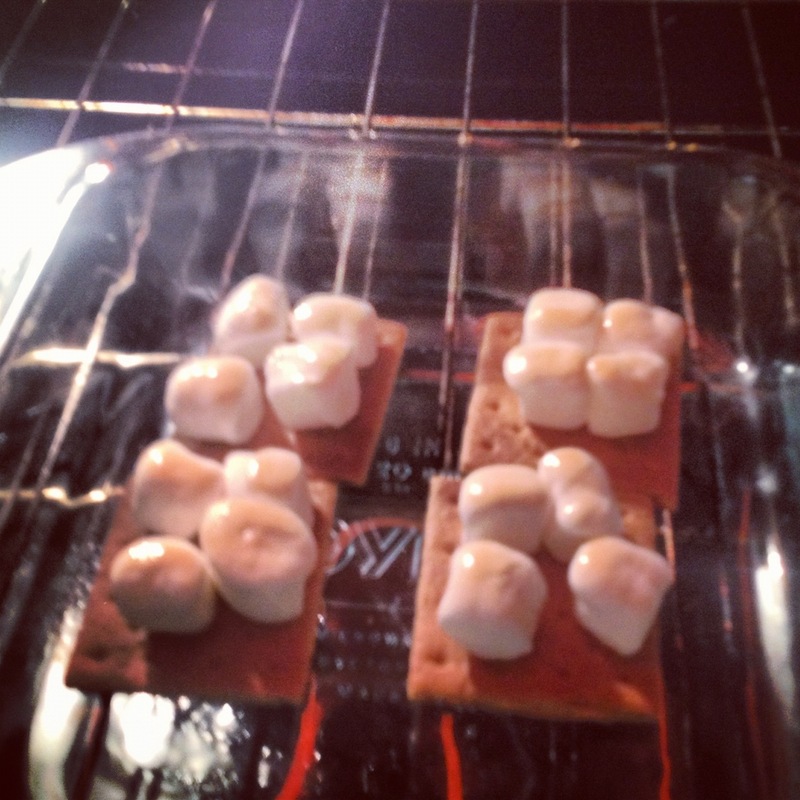 As a self proclaimed foodie, I decided to dress up s’mores by using Lindt milk chocolate and some regular graham crackers. As you can tell by the photos below, the result was camp approved deliciousness that resulted in a melty gooey mess. 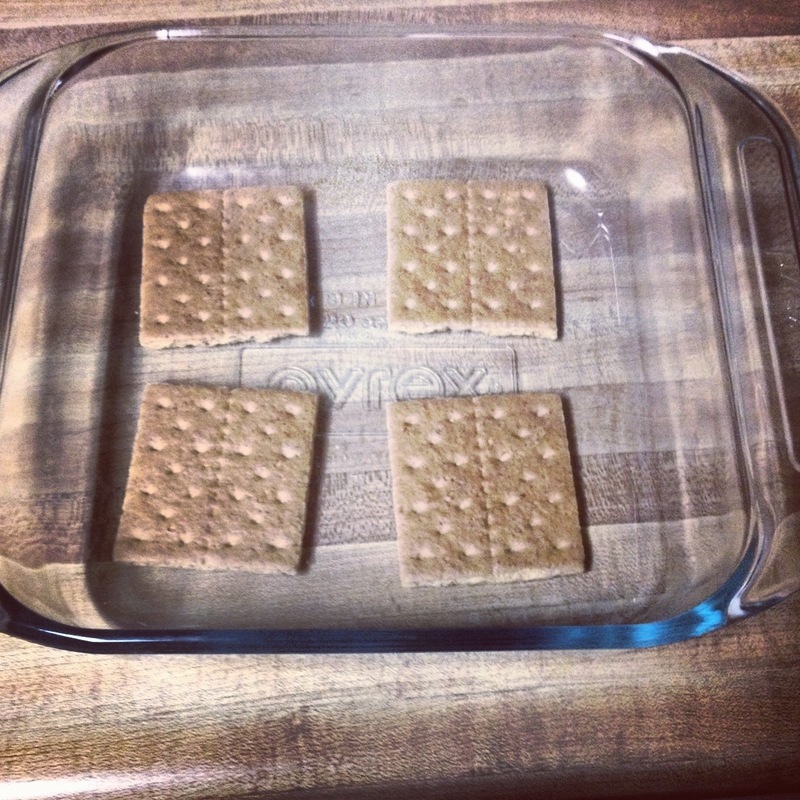 Split graham cracker into 2 halves. 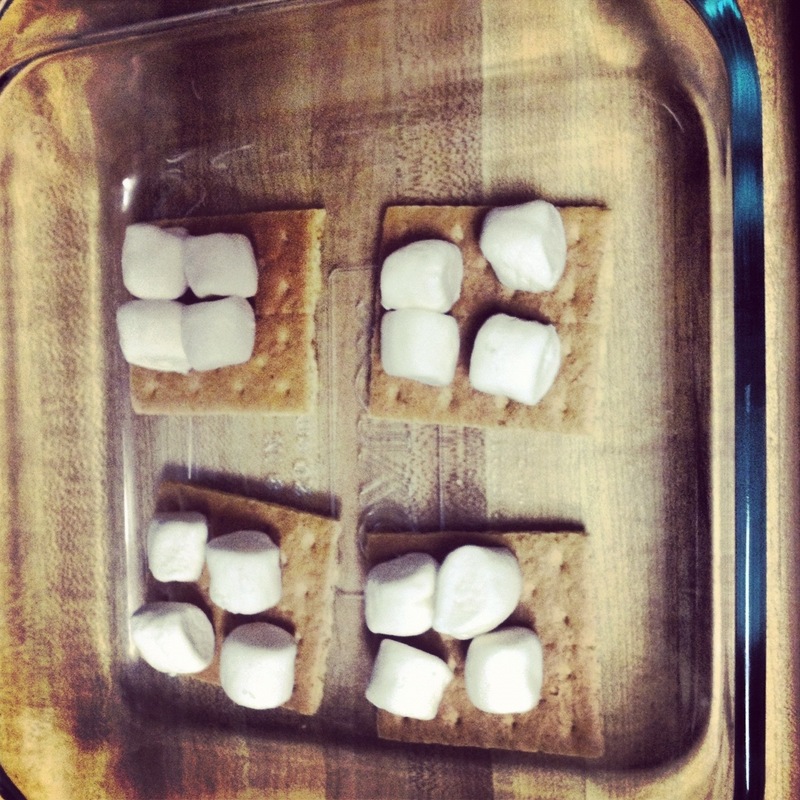 On top of graham cracker squares place 4 mini-marshmallows. Place under broiler for a few seconds until browned. 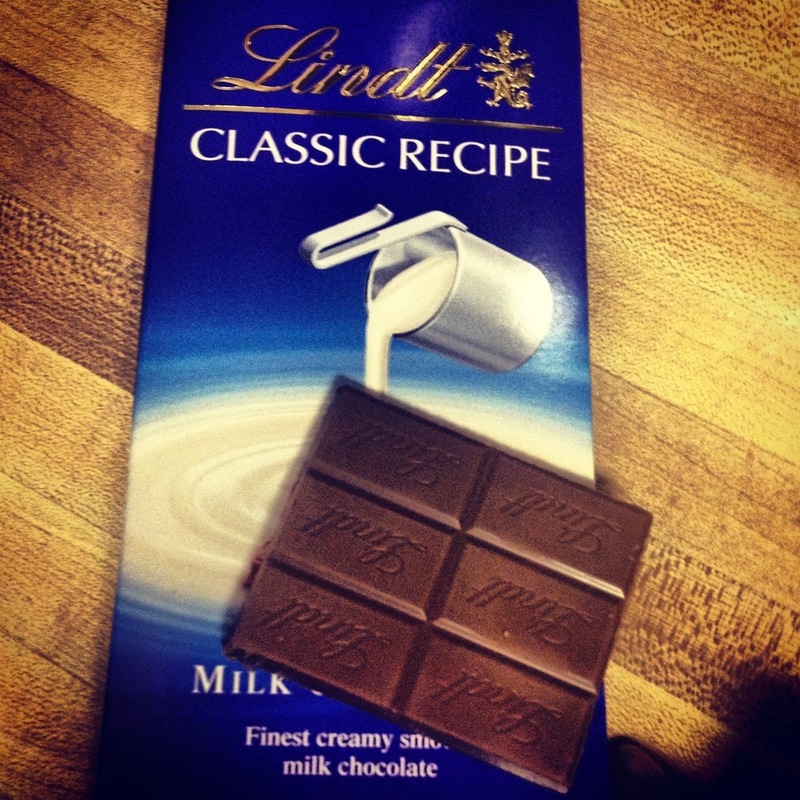 Remove and place 3 piece chunk of a Lindt bar on top of the toasted marshmallows. The heat from the marshmallow will melt the chocolate. Place other 1/2 of graham cracker on top. 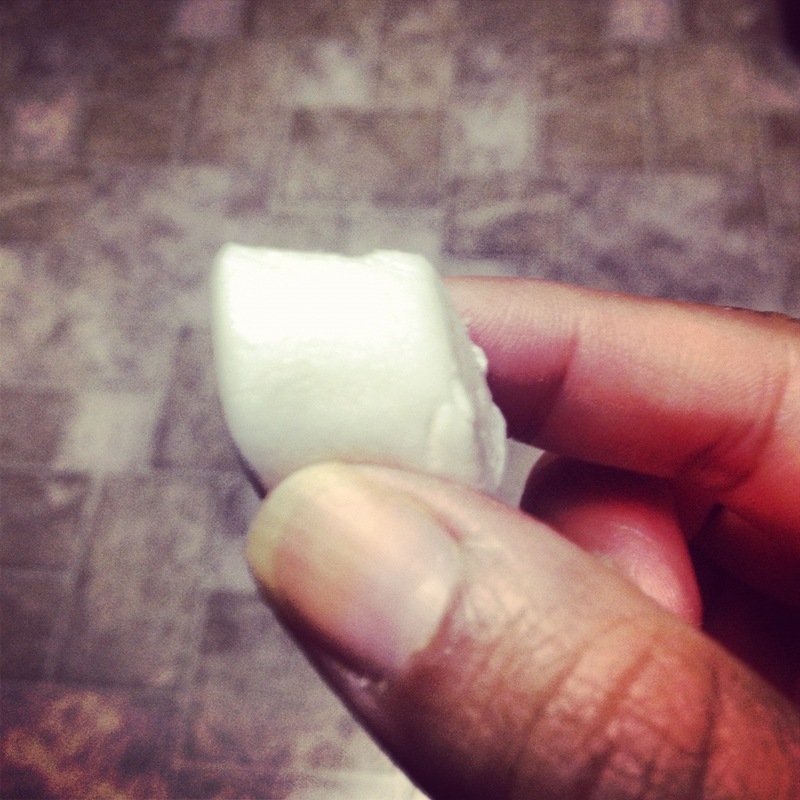 Press lightly to flatten marshmallows. Enjoy! Technically, it’s impossible to tell exactly where the gelatin came from. Modern rendering plants extract gelatin from any inexpensive collagen source. So it’s unknown if it came from cattle, chicken, horse or pig. Actually, the marshmallows are vegan and air puffed so there is no gelatin in them to begin with.